In honor of World AIDS Day and our partnership with (RED)TM, Bugaboo teamed up with world renowned style icon Gwen Stefani, Creative Director of L.A.M.B and front woman of No Doubt, to create a custom, one-of-a-kind Bugaboo Cameleon. 100% of the money raised from the auction will go to the Global Fund via the United Nations Fund. Gwen, a long Bugaboo fan and mom of two, designed this unique Bugaboo Chameleon using the lasted prints from her iconic fashion line L.A.M.B. 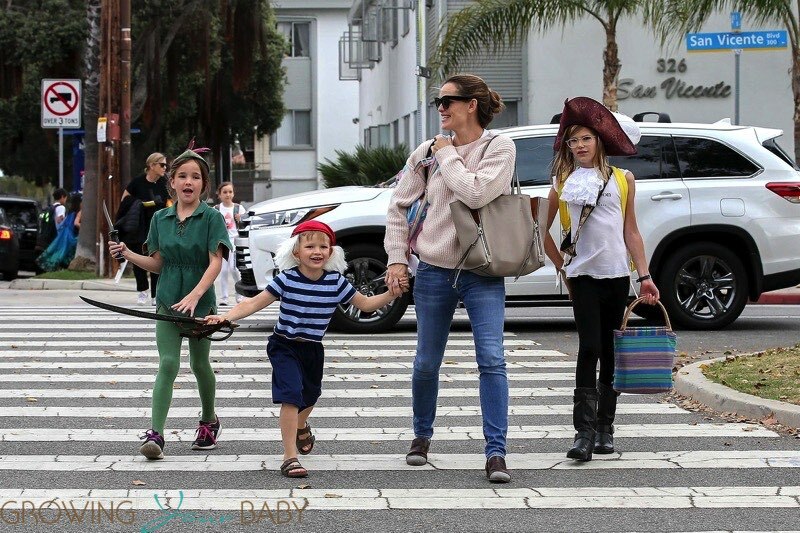 The customized Bugaboo features a floral fabric with L.A.M.B. 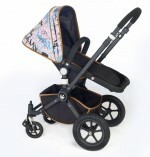 written in a graffiti style, while the front and back of the stroller are lined in Vachetta leather trim and embellished with rounded pyramid studs. 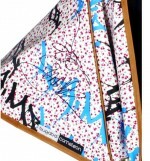 To complete the look, Gwen signed the sun canopy and a luggage tag imprinted with L.A.M.B. hangs on the handle bar. Blending fashion, function and social consciousness, fans of Bugaboo and Gwen Stefani have a chance to enjoy an exclusive piece of art, while supporting the fight against AIDS in Africa. While there will only be one winner, anyone can support (RED) by purchasing a Bugaboo product as 1% of sales across the product range are donated to the Global Fund. With this auction Bugaboo is helping to reach the goal of eliminating mother-to-child HIV transmission by 2015. The auction runs from the Dec 1st – Dec 6th and is open to all bidders WORLDWIDE!